Today I’m delighted to welcome back Elfreda McGowan to Happy Magazine. 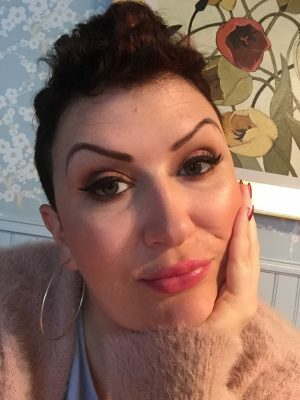 Elfreda has written some amazing beauty content for us here before and also spoke on our first podcast but today she is sharing her cancer story with us. 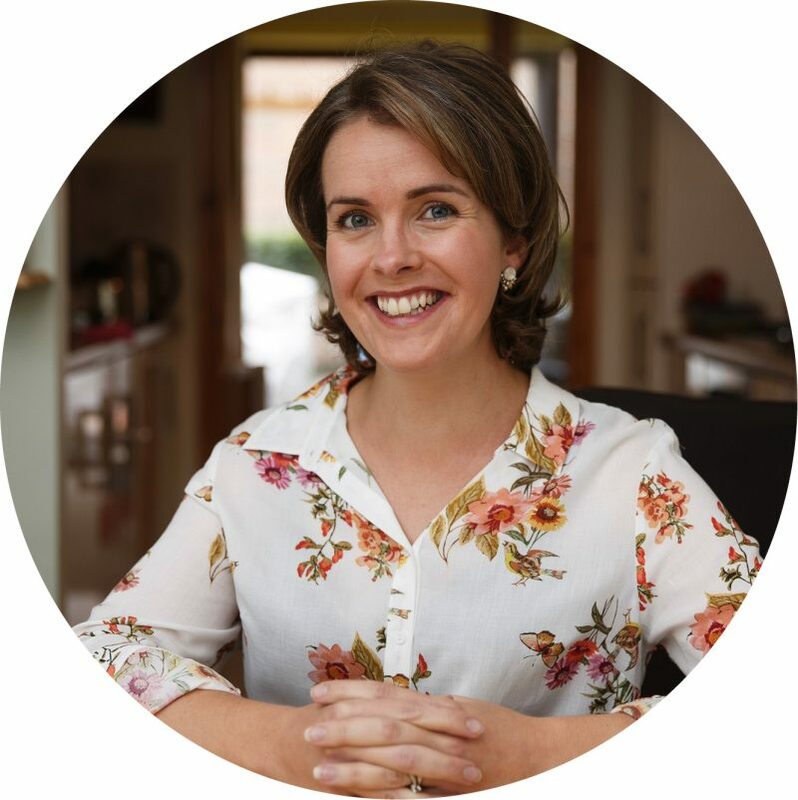 Elfreda writes about the importance of looking at your treatment plan in bite-size chunks and rewarding yourself along the way – some really great advice. Your name, age and where you’re from? Your diagnosis story – How did you feel when you were first diagnosed? I was in the shower and felt an area in my outer left breast that was hard and un-moveable and went to the doctor to check it out, just incase. The doctor wasn’t worried but sent me for the triple assessment in the Mater Hospital. I got an appointment within two weeks, and on that day had a mammogram, ultrasound and biopsy. Two weeks after that I found out it was indeed a ‘small cancer’ as the doctor put it, and was Her2+ and I had a lumpectomy a week after that, followed by chemotherapy (AC followed by Taxol and Herceptin, followed by 20 days radiation, and then to remain on Herceptin for a year). I felt scared, alone, overwhelmed and in shock. I didn’t know what to think or how I was going to get through what was in front of me. Your treatment plan – How did treatment go for you? To be honest, I didn’t even really fully know what chemotherapy was, as I’d never known anyone close to me who had gone through it. I had heard stories of people feeling really sick and nauseous and losing their hair etc, but I wasn’t really aware of the actual ins and outs of it. After surgery, which was scary and felt like an outer body experience, as it all happened so quickly, and I’d never had any operations before, I had a break of over a month, during which time I met various medical professionals and went for a chemo induction day, and learned about the treatment plan and length of time involved, and was taken aback that from the time of surgery to my last treatment would be well over a year. 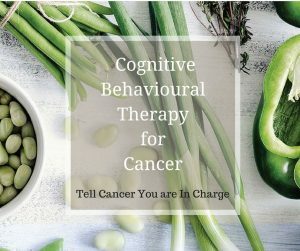 Even though I had no lymph nodes involved, the tumour type dictated the treatment plan, and I was overwhelmed at the prospect of my life being ‘on hold’ for that length of time, but I just wanted to start it and hopefully get through it. I was lucky with chemo, that although I felt wrecked and bone tired and had other weird things happen my body, I didn’t suffer from the dreaded nausea which I was really happy about, as the thoughts of being stuck in bed all the time was very depressing, luckily I was able to get out and about most of the time and felt grateful I didn’t get nausea. After chemo, I had radiation. During the radiation which was daily, I felt like I was on a merry go round, day after day of being measured up and locked in a room with lasers pointing at me, pen marks and freckle size tattoos and strange noises everywhere. The good thing is that it was painless, but felt relentless. Looking back, it actually passed really quickly, and although at the time it was gruelling, it’s funny how the strong we can actually be and how the brain can block a lot of things out and recover quickly and you actually forget the details. 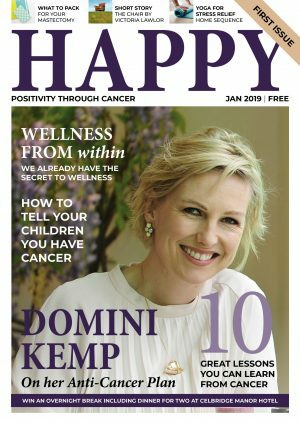 The Herceptin treatment is given as a continuation of chemotherapy, it was given to me first with my second lot of chemotherapy, which was taxol and then when the taxol finishes, the Herceptin continues for the year on its own every three weeks. 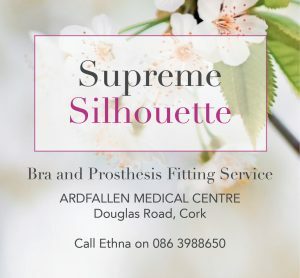 Although not as gruelling as chemotherapy and doctors say it doesn’t have many side effects, apart from Heart issues, which you have to have Heart Echos for every twelve weeks, I myself and talking to other women have found that it still has various side effects, and have found that joint pain, stomach upsets and exhaustion have definitely continued as treatment has gone on. I feel lucky to have had it though, as it’s the targeted therapy for Her2+ breast cancer, and I would do anything I could to blast the Her2 buggers away! Luckily I’ve only one more treatment left, and I look forward to being able to rebuild my strength and immune system properly without the regular visits to the hospital. The worst part for me was the slog of chemotherapy, and feeling so unlike myself. The best part for me, is being alive in a time where there are so many treatment options available. The love and support of those nearest and dearest to me. Single best advice that helped you? Not to look at the treatment as a whole, but to take it in bite size chunks and reward yourself at each milestone, whether it be with some new lipstick, clothing, food, body cream or whatever makes you happy really. I’m just at the end of active treatment now, and feel happy that I’ve done all I can do. I’m going to make some healthy changes and get stuck into my recovery. I still sometimes feel in shock that it happened to me. I’ve barely paused for breath with all the treatments that have gone on and still trying to live and be as normal as best I can. I feel lucky to have had the amazing people I’ve had around me, and know a lot of people are not as lucky as me. I still wish it hadn’t happened, obviously, but it’s shown me that I’m stronger in ways than I ever thought I was. I’ve realised I’m a fairly strong person, and can cope with a lot. I’ve tried to be better food choice wise, but to be honest, not as much as I would like to. It’s in the plan though; I want to continue with the positive changes. I find going for a walk, having a chat, or watching something uplifting helps. Single best purchase that helped you through cancer? It’s very hard to pick one, I would say my ‘24 bottle’ that I carry hot lemon around in, my Pukka teas, and probiotics have helped me through. Definitely take the treatment in small chunks, don’t look at it as a whole. Pat yourself on the back at regular intervals and be kind to yourself. Thank you so much Elfreda for sharing your story with us today as part of our #BreastCancerAwarenessMonth content.